Content management software (CMS) is used to create, publish, and manage online content. Top tools in this category offer a range of publishing options, easy-to-use text editors, and metadata and SEO functionality, among others. CMS stats show that WordPress is the leading content management software solution with a 59.6% share of this market. In fact, WordPress powers a whopping 28.7% of all websites. Here are some more impressive WordPress stats: It is the most common CMS used by businesses. 25% of WordPress users earn a full-time living from the CMS. There are greater than 47,000 WordPress plugins which shows how extendable the platform is. WordPress has been translated into 72 languages and non-English downloads exceed English downloads. However, security is a major concern as only 40% of WordPress sites are estimated to be up to date. Finally, there is an average of 2.7 million global searches for WordPress each month. We are sure the above stats have kindled your interest on why WordPress is so popular. The reason is the host of user-friendly features this content management software offers. In this article, we detail those key features and benefits, and also look at the top 10 alternatives to WordPress. 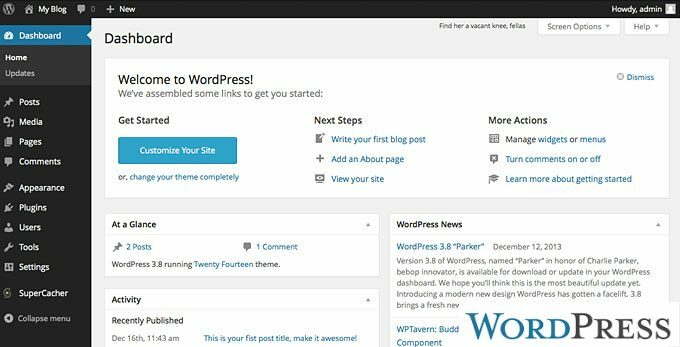 WordPress was launched as a basic blogging tool but today has evolved into a full-featured CMS solution with thousands of themes, widgets, and plugins. To get started, you only need an email address where you will be sent a WordPress address. You can then download and install the software, and create your blog or site in just a few minutes. 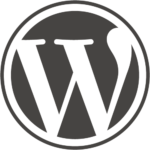 To host your site, you can use the free WordPress.com hosting service. Key features include: full standards compliance, publishing tools, user management, plugin system, and multilingual capabilities. The best part is WordPress is a completely free CMS as it is an open source platform. The CMS is easy to use even for novices. You can easily add new posts, images, and pages without hassles. Manage your sites from any computer or mobile device. There is no need for FTP software or HTML editing as WordPress is a self-maintaining and self-contained platform. Your website design is 100% customizable. It comes with a range of themes that can be utilized for innovative design experiments. If you want to search beyond WordPress, don’t go away. We also provide you a good look at the top 10 alternatives to WordPress to help you make an educated choice. Microsoft Publisher is a simple desktop publishing platform. It provides a wide range to tools you can use to create high-quality text, images, and layouts. This tool is offered with the latest editions of MS Office and is an easy-to-use solution. You don’t need to hire design experts to generate good-looking graphics and marketing collaterals with this application. Microsoft Publisher provides a simple interface and comprehensive features. You can use the batch or bulk actions to quickly perform your desktop publishing tasks. Plus, you can enhance and swap images using special effects. There are also tools for text effects, color swatches, and more, that help to provide good print quality. Since this app is part of MS Office, it integrates smoothly with other Microsoft products. If you want a more advanced tool, take a look at these Microsoft Publisher alternatives here. Why is Squarespace in this list of top 10 alternatives to WordPress? The main reason is it is a great platform for those who wish to start a blog or personal website, or launch an online store. The application offers robust customization tools through its style editor. Plus, you can use attractive pre-made templates to build your website quickly and easily. In addition, the templates are intuitive, responsive, and optimized for mobile devices. The vendor also offers discounted Getty pictures and free Typekit fonts. You can utilize integrated marketing and SEO tools to connect with your prospects and customers on multiple channels such as Twitter, Facebook, and more. Online stores are supported with unlimited cloud hosting at no extra cost. They are protected with the latest and best security and encryption measures. For other good options, browse these Squarespace alternatives here. Acquia is a cloud-based CMS platform that companies can use to deliver delightful digital experiences to their customers. They can visualize their organization’s vision and deliver it in real-time to their customers on all internet-ready devices. The unique aspect of Acquia is it is not a SaaS but a PaaS (Platform-as-a-Service). With this platform, you are limited only by your mind’s creativity. Merchandisers and marketers can utilize it to deliver personalized experiences, technical experts and developers to build complex apps quickly with reliability and security, and content managers to offer a unified commerce, social, and brand experience on multiple devices. If you think this solution is too basic, check out excellent Acquia alternatives here. Drupal is a community publishing and CMS platform that serves as a social medium on the web. The unique aspect of this application is it takes the best aspects of CMS, blogging, and eCommerce systems, as well as wikis and forums to create an integrated solution that can be utilized for eCommerce, publication, and communication. In addition to CMS tools, Drupal also offers an app development framework that developers can use to build an interoperable, modular code with a common interface. This open source CMS program powers numerous websites and applications for free. The reason is it is actively supported by diverse user communities that focus on building and maintaining it. With this system, you can create sophisticated websites, social networking pages, blogs etc. as well as create and manage various content types including blog stats, texts, polls, videos, and more. If you wish to scout for other options, browse these Drupal alternatives here. The unique aspect of Sitecore is it combines content management with customer experience management. You can use this solution to control the customer experience on your apps and websites. In addition, it offers tools such as A/B testing to help you to analyze how customers engage with your content. The best part is Sitecore can manage any type of content. With this application, you can deliver a unique web experience for each individual customer. You can use the analytics and A/B testing tools to learn which strategies are effective for your website. The tools offer actionable user insights and you can also generate comprehensive reports on engagement and marketing. Key features include: real-time personalization, goal tracking, predictive marketing, behavioral targeting, and marketing automation. For other choices, browse these viable Sitecore alternatives here. Joomla is a widely used open source CMS. With this solution, you can effortlessly control the content on your website as well as its quality. It can be compared to a library that stores and tracks books. The best part is Joomla can be used easily even by non-techies. This CMS handles all types of content including text, video, music, and images. For this reason, it is used globally to power websites of all sizes and shapes. Users opine that Joomla is between simple WordPress and advanced Drupal when it comes to complexity. One of the highlights of this application is it offers a range of development tools as well as tutorials on how to use them. Main features include: cloud storage APIs, menu manager, content versioning, media manager, and multilingual capabilities. For more good options, browse these Joomla alternatives here. HubSpot combines CRM, sales, and marketing tools to enable marketers to create engaging content, target consumers effectively, and sell more quickly. The application enables you to enlarge your contact lists directly in the system and integrate email metrics without difficulty. This enables you to deliver personalized, brand-specific, and effective content to your prospects and customers. HubSpot offers a range of installed templates as well as analytics tools to facilitate email delivery. You can count on reliable customer support via phone, email, and online channels to resolve your issues quickly. The vendor also offers plenty of training materials to help you make good use of all the modules. If you wish to look at other platforms, peruse these HubSpot alternatives here. Brightcove offers video solutions and systems that can be utilized by companies to deliver effective video content and also to monetize those videos on multiple platforms and devices. The online video solutions are grouped into two categories: Media and Brands. The Media platform helps content owners, distributors, publishers, and broadcasters to engage and monetize their viewers quickly and effectively. The Brands platform is designed to enable marketers to deliver engaging content at all stages of customers’ buying journey. Key features include: social sharing, HTML5 video, ingest and transcoding, content management, video library management, and playback. The best part is the application is quote-priced which means you only need to pay for the features you need. If you wish to look at other options, here are some good Brightcove alternatives. Box is a file sharing platform that facilitates secure collaboration using any device. You can use this service to easily share and manage your business files. Box is utilized by more than 50,000 enterprises around the world including top names such as GE, Gap, Nationwide, Pandora, and Boston Scientific. You can use the platform to create and review files with other users in real-time on any computer or mobile device. Your stored files are protected with advanced measures such as customer-managed encryption, activity logs, granular permissions, and mobile security. In addition, your company can comply with e-discovery requests, data retention policies, regulatory policies, and business requirements. Top features include: version history, two-factor authentication, SSL and at rest encryption, file locking, and desktop sync. To give you more choices, we present viable Box alternatives here. Microweber boasts a a great degree of flexibility for creating professional-looking websites and online stores without the need for prior coding or website development knowledge. Users can effortlessly build the website design they envisioned through its intuitive drag-and-drop tools alongside a WYSIWYG (what you see is what you get) editor for complete control in designing all elements of your website. Microweber comes equipped with an integrated online shop wizard, which allows you to easily maintain your online presence by simply uploading your products and services. In support of this feature are tools for order notifications, shipping, client lists, order status, and much more. Being an open source platform, you can modify the platform to suit your unique needs. For other viable options, browse these Microweber alternatives here.